I usually make the pizza dough in the bread machine, but if you don’t have one don’t worry. Here is how to make it and it is very simple. 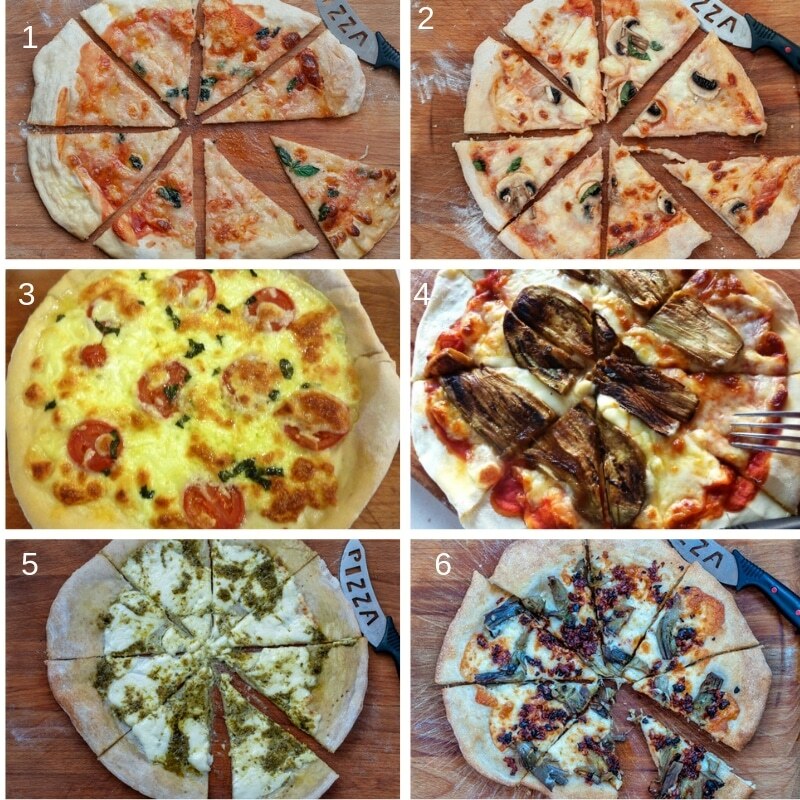 Usually, the flour used for pizza should have a high protein content, around 12/13%, to ensure a good rise. Check the nutrient label in the package. I normally use flours rich in gluten which are the one used for making bread. They are Type 55 in France, All purpose in USA, Plain in UK, Type 0 in Italy. 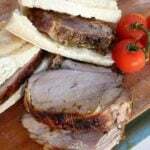 If you want to know more about the type of flours to use, conversions and name of cuts of meat, you can sign up to my newsletter and download the Charts for Cooking. The most important step in making the pizza dough is the activation of the yeast with lukewarm water. Once the yeast is activated you will have your dough with no effort. You need to make sure the water is not too hot nor too cold. The bread machine warms up the water for you at the perfect temperature, so you don’t have to worry about it. 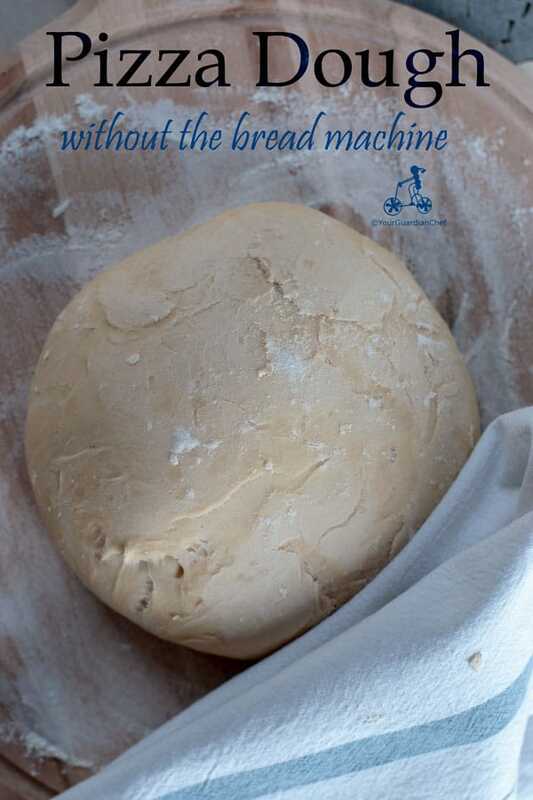 If you want to know more about the Bread Machine, click here. But activating the yeast is not difficult, so you will have no problem doing it yourself. 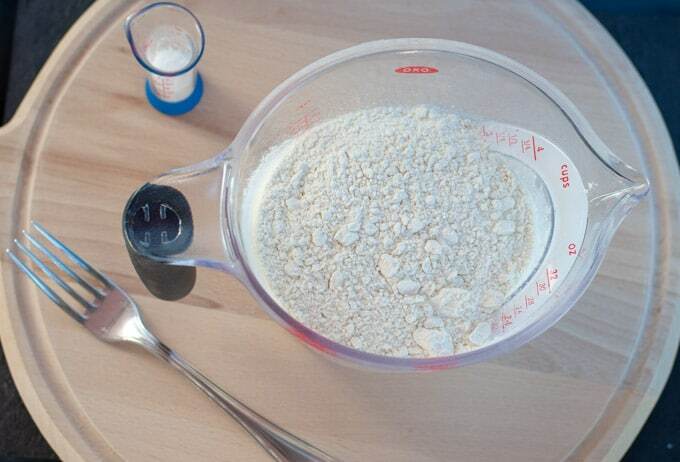 Mix the yeast with ¼ cup of the water. 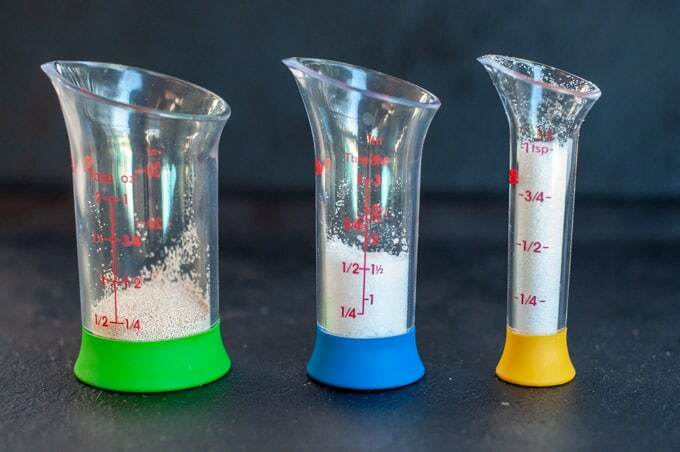 Strain the flour along with the sugar and the salt into a bowl, ensuring they are completely mixed. Combine all the wet ingredients together: water and the frosty yeast. 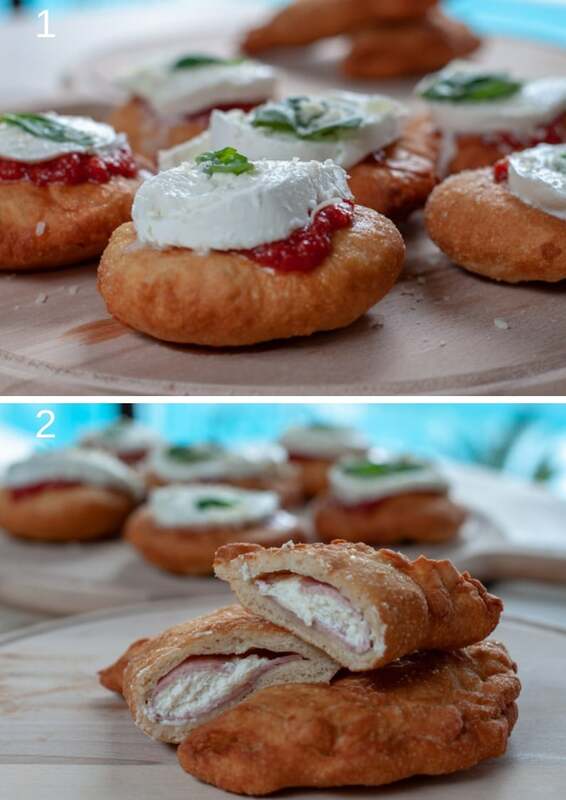 Slowly pour them in the ‘well’ of the flour and mix it with the wet ingredients gradually, using your fingers. Once they are thoroughly mixed, you can either continue mixing the flour with your hands or put it into an electric mixer with a dough hook. Shape it into a smooth ball and place it into an oiled bowl covered with a wet towel to rest. Let it rise for 1.5 hours. When the dough is rolled flat, it needs to rest for at least 10 minutes before it rises. In the meantime, put the pizza stone in the cold oven and set the oven at 220 C – 430 F.
Once the oven reaches the temperature of 220C – 430 F, take the pizza stone out of the oven and lay the dough on top. Don’t have an oven to cook your pizza? If you are making any of those pizzas, leave your comment below I would like to hear from you. You can find more delicious ideas if you FOLLOW ME on Facebook, YouTube, Pinterest and Instagram or sign up to my newsletter. 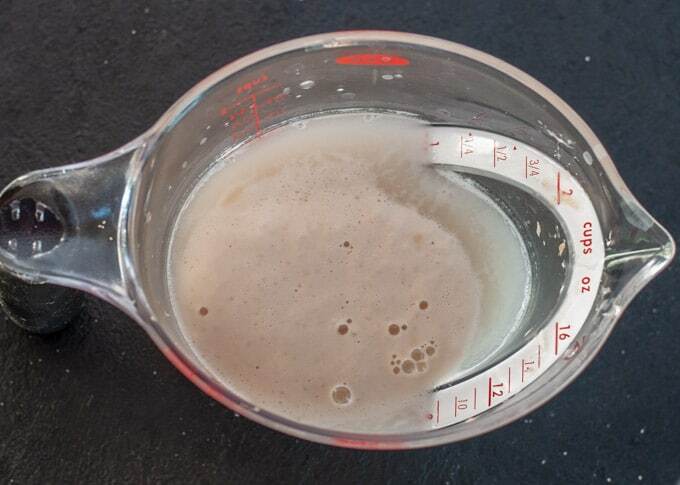 To activate the yeast mix the Dry Active Yeast with ¼ cup of the water needed for the recipe. The water should be lukewarm. Add ½ tsp of sugar, and let it rest until it becomes foamy. In the meantime, strain the flour along with the sugar and the salt into a bowl, ensuring they are completely mixed. Make a ‘well’ in the centre of the flour mix. Combine all the wet ingredients together: water and the foamy yeast. Slowly pour them in the ‘well’ of the flour and mix it with the wet ingredients gradually, using your fingers. Once they are thoroughly mixed, you can either continue mixing the flour with your hands, or put it into an electric mixer with a dough hook. Mix it until the dough becomes a ball that comes away easily from the side of the bowl. 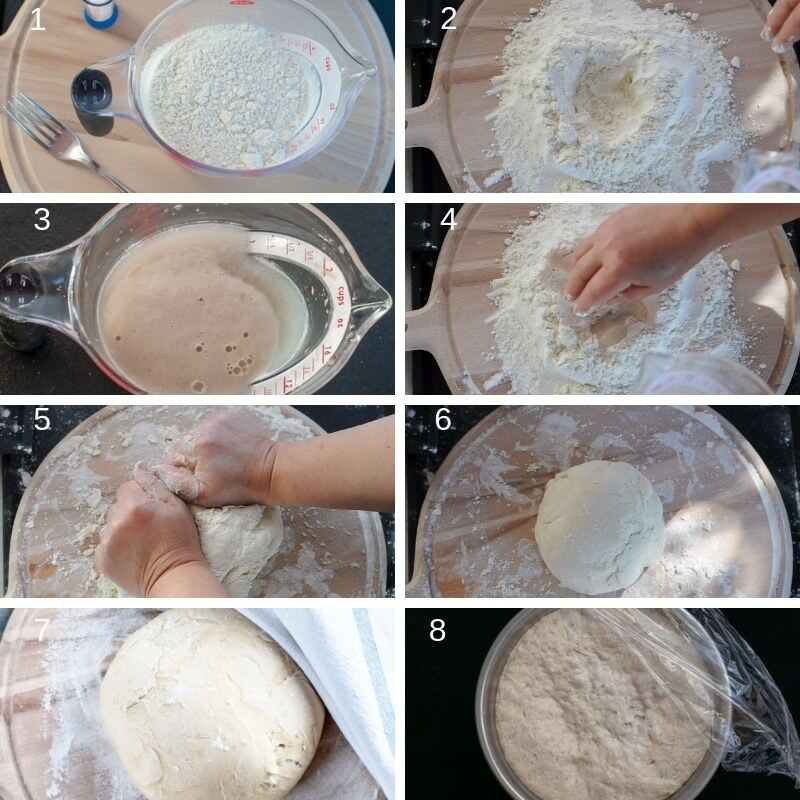 Take the dough out of the bowl and knead it on a flat surface. Shape it into a smooth ball and place it into an oiled bowl covered with a wet towel to rest. Let it rise for 1.5 hours. 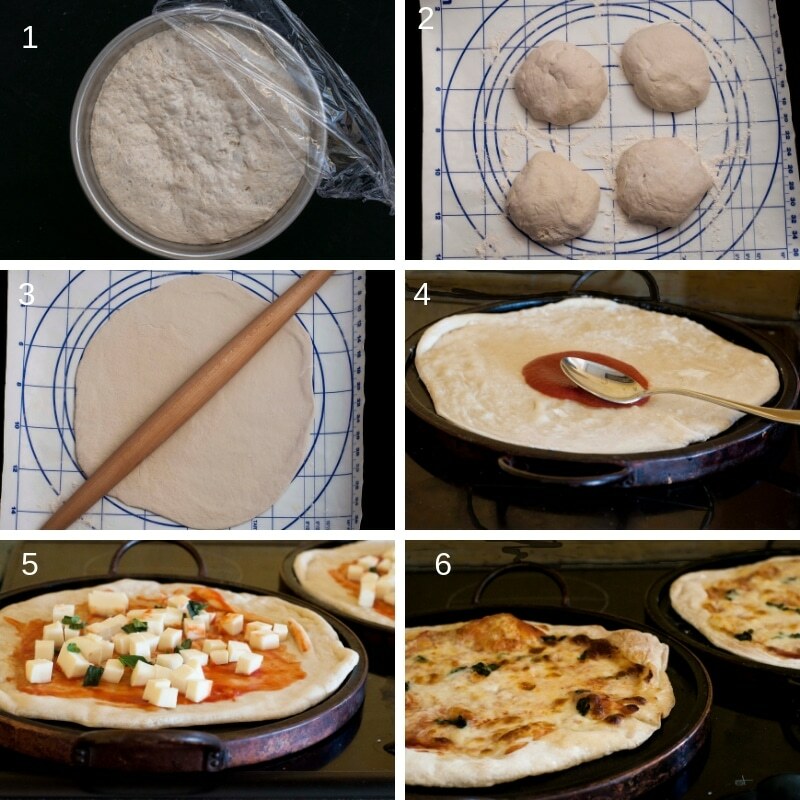 I have never made my own pizza dough but after reading your recipe, I think I should definitely try it! You can’t beat a good simple solid pizza base recipe, looking forward to trying this one out. Wow! This looks so simple and delicious! Thank you for taking the “fear factor” out of pizza dough! Totally trying this out. Ah, ah, you are welcome. Fear you not! Perfect timing on this! My bread machine finally died after over 30 years! I almost cried because it was a gift from my sister! I haven’t made pizza dough since it broke. Thanks Laura! What a useful recipe! Love all the process photos too.